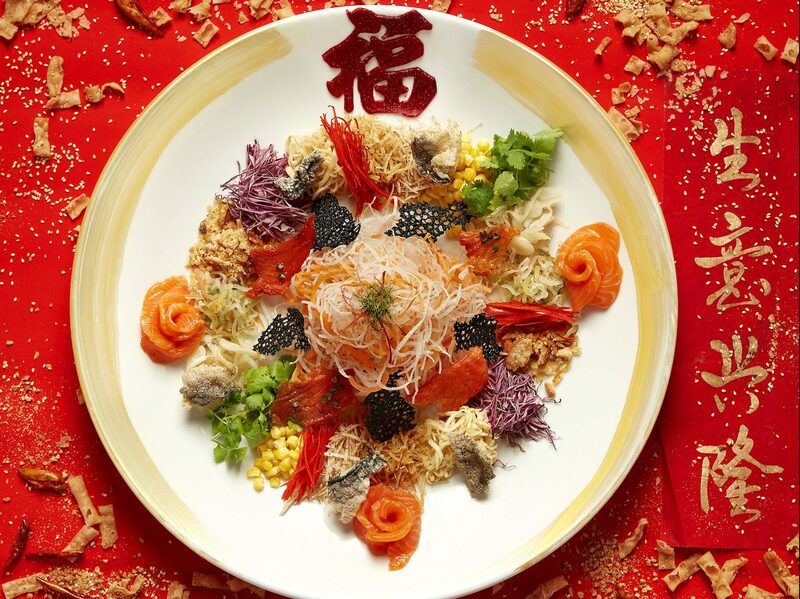 Prosperity toss, yee sang or yusheng — whatever you choose to call it, you can’t deny that this symbolic Cantonese-style raw fish salad comes in just as many forms as it has names. Commonplace in Chinese homes across Southeast Asia during the festive Lunar New Year season, this tradition involving groups tossing raw ingredients together as a symbol good fortune, abundance and prosperity has evolved into a lucrative business as dining establishments compete against each other to come up with their own creative take on the dish. So, if you’re yearning for a plate of prosperity during your next reunion dinner, we recommend taking a bite at these fancy recipes below. 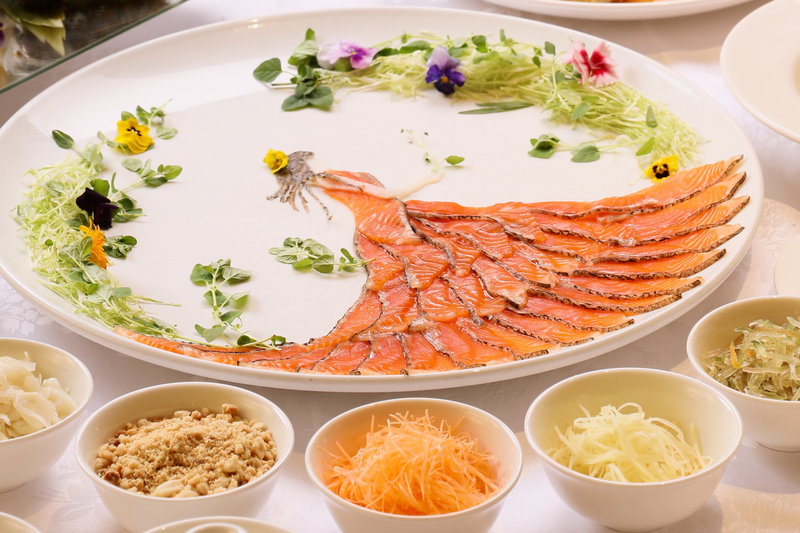 Available upon request and crafted by the talented team at Shanghai Restaurant, this picture-perfect Yee Sang presentation will appeal to anyone’s inner princess. Diners looking for more bite can request for additional lobster, geoduck, abalone, jellyfish, salmon, vegetarian ham or fresh fruits, all served with a side of secret homemade sauce which adds the perfect amount of sweet and spicy. 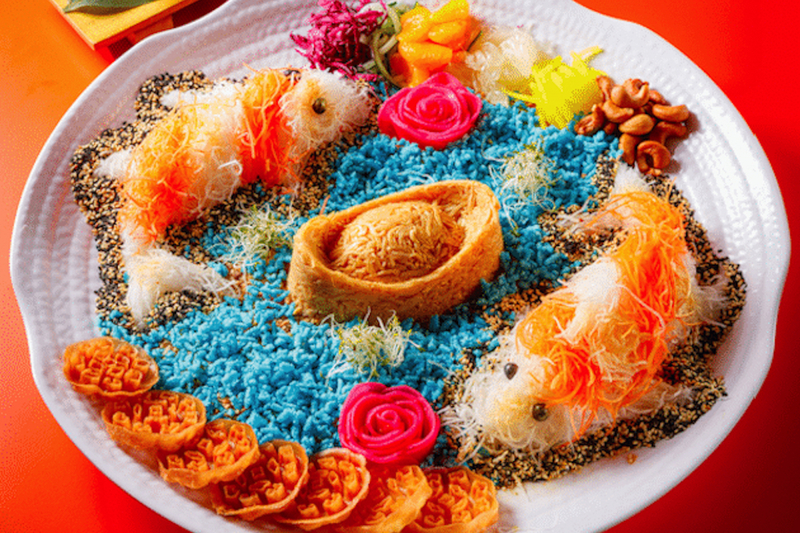 Available at the award-winning Li Yen restaurant, this year’s Prosperity Yee Sang adds a ritzy twist to this year’s traditional festive toss by presenting a colourful design resembling the blooming blossoms of spring time. 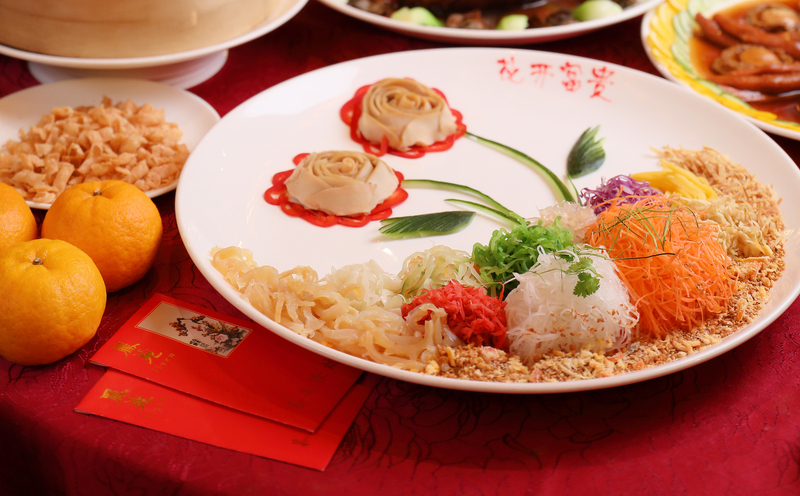 For extra luck, be sure to request for heaping portions of fresh seafood ingredients such as salmon, tuna or abalone. 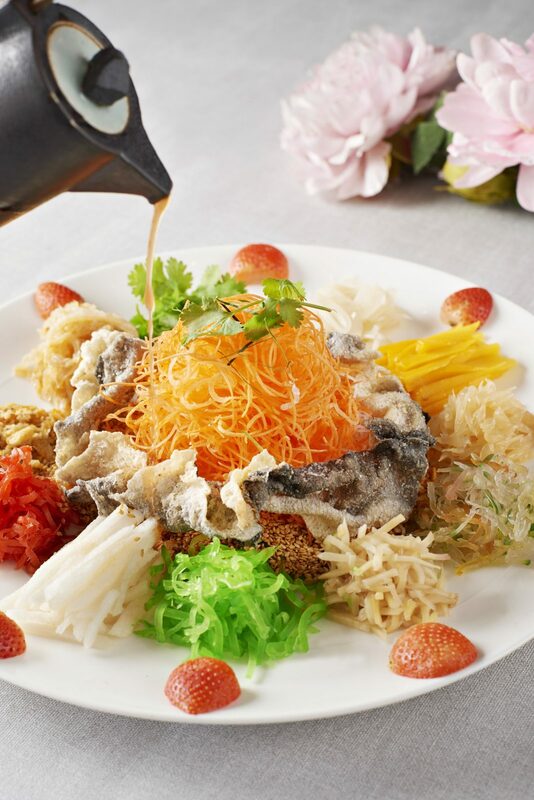 Not to be outdone, W Kuala Lumpur’s flagship restaurant is offering a quartet of signature Yee Sang delights crafted using the finest ingredients sourced from all over the globe. Available in half- and full-portions, variants include premium jelly fish with crunchy Korean snow pear with avocado oil; Norwegian salmon fish topped with dried Szechuan fish chips and crispy fish skin; succulent sous vide lobster meat with tempura crispy soft shell crab; and the decadent abalone topped with caviar and gold flakes drizzled with truffle oil. The perfect alternative for health conscious diners keeping tabs on their waistlines, each plate of Crispy Fish Skin with Mango and Snow Pear Yee Sang presents freshly cut vegetable strips paired with tangy mango, sweet strawberries and crisp snow pear which pair well with crispy fish skin that adds just the right amount of bite. Wan Chun Ting, Sofitel Kuala Lumpur Damansara, No. 6 Jalan Damanlela, Bukit Damansara; Tel: +603 2720 6688. 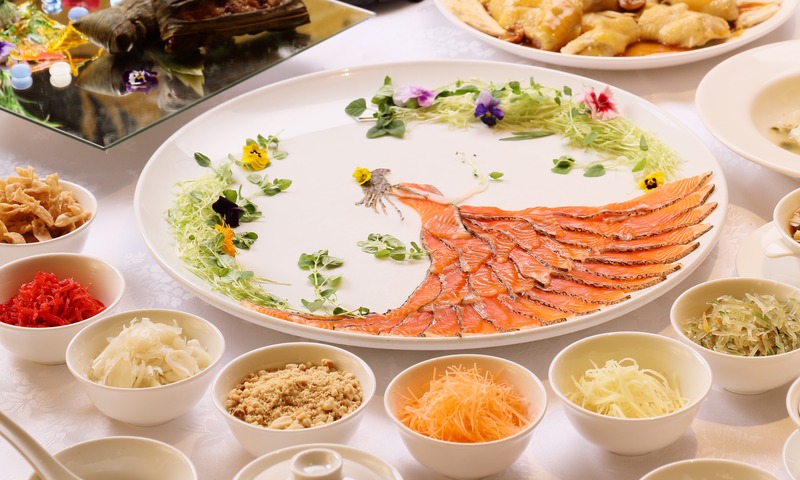 Featuring a mind-boggling 20 ingredients, the 28K Golden Koi Yee Sang practically pops out of the plate with freshly shredded vegetables meticulously arranged to resemble koi fish circling an edible gold Chinese ingot. Additional finishing touches include salted egg yolk crispy fish skin, Atlantic salmon sashimi, sea caviar and Chinese honeycomb cookies for that extra bit of crunch. Feast your eyes on the HARHARHAR Prosperity Platter, the latest sensational creation at Nobu Kuala Lumpur. 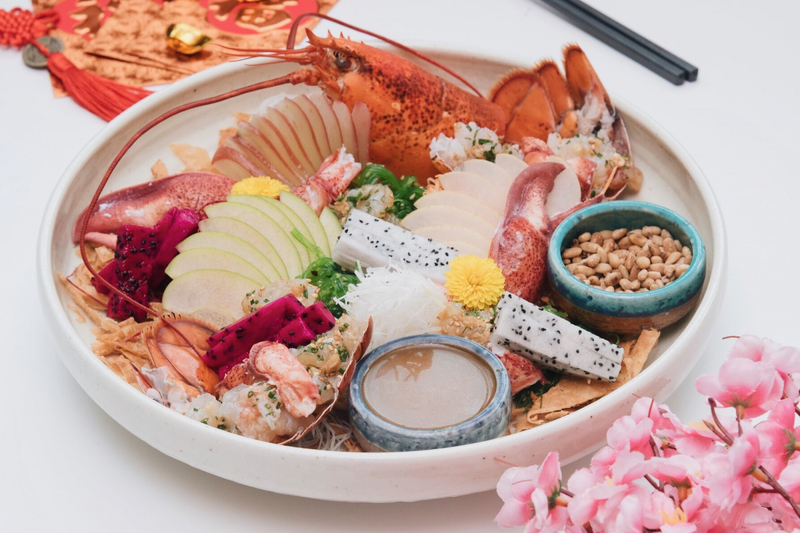 Named after the Chinese words for “lobster” and “happiness”, each plate is a celebration of the delicious bounties that reside beneath the sea and comes complete with freshly cut slivers of jicama, tsuma, beets, carrots, Asian pear, green and rose apple as well as dragon fruit. Pairing options include white fish and salmon sashimi (MYR188); and Nobu-style whole lobster (MYR288).